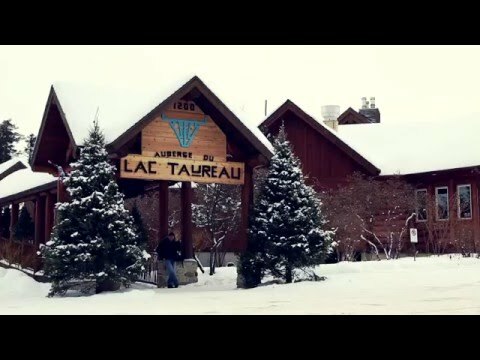 With its location directly on the shore of the lake, the beach of the Auberge du Lac Taureau is one of the most impressive in Quebec with its kilometers of white sand. Summer or winter, many activities are offered to visitors. It is a perfect place to « gather together ». The kitchen of the Auberge du Lac Taureau combines simplicity, audacity, creativity and originality. Discovery is the basis of our menus in the dining room or in the bistro. 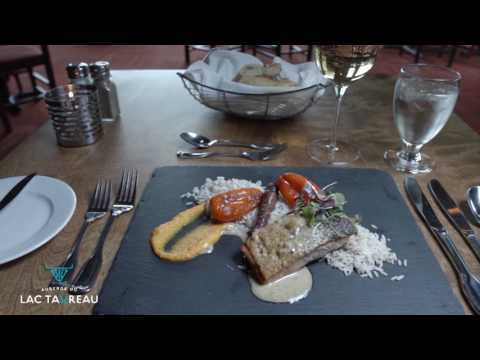 Our meals showcase the local ingredients and the local Lanaudière know-how. The table of the Auberge du lac Taureau has made its reputation since its opening. To impress you even more, the menus have been reinvented. Starting at $270, per person, taxes not included (low season). Room with a magnificent view of Lac Taureau. Starting at $146, per person, taxes not included (low season). This room offers a view of the pond and adjacent round wooden buildings. Starting at $143, per person, taxes not included (low season). The Forest room is a standard country-style room with no view of the water. However, guests do enjoy a level of comfort equivalent to that available in other rooms (with the exception of more deluxe accommodations).